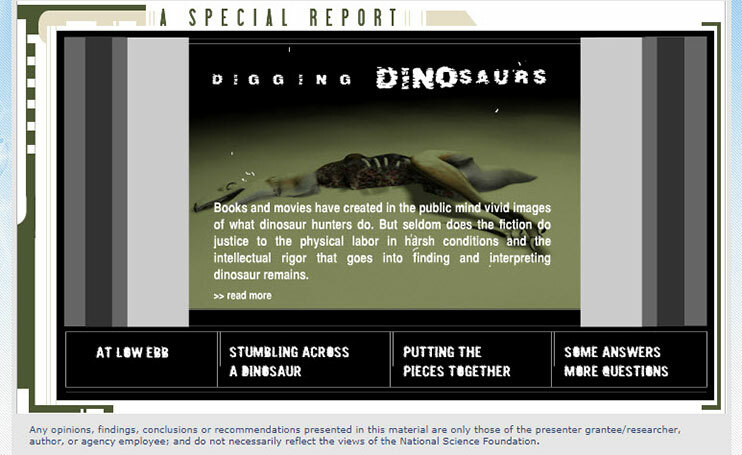 We have archived the special report, "Digging Dinosaurs." It is no longer available on the NSF website. If you would like information about it, please contact the OLPA Webteam.